ASID National Conference at NeoCon a Big Success! The inaugural ASID National Conference at NeoCon was an overwhelming success. A big thank you to all of our attendees. Just getting back from Chicago? We’d love to hear your feedback, see your pictures and videos, and share them on ASIDlive! Missed the conference? Catch up on what went down at NeoCon, and prepare for next year! Visit http://www.asidlive.com for conference recaps, and to share your experience with your fellow ASID members. GRANGE welcomes an entirely new line of finishes. Prestige finishes are multi-layered; starting with hand brushed and wiped patinas completed with natural shellac for a silky finish. 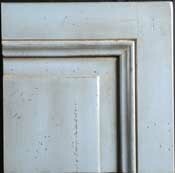 Each Prestige finish is highly distressed in its own distinct pattern. Each Prestige finished piece is a unique treasure. For more information visit www.grange.fr or call 1.800.GRANGE1. Geography-inspired Interior Design "Taking Over"